I find most people naturally gravitate toward a certain type of landscape. For some, the mountains are the only real destination, and nothing excites or calms them like hiking and camping in the midst of thick forest, on the edge of cold lakewater. There are those who thrill in wide open, wavy-hot, golden plains, the kind of land where the views go on for miles, uninterrupted and clear. My own heart’s cry is unmistakable: I love the beach. There is that moment every time when I first see palm trees and smell the salt on the breeze, and I just know I am home. This fall we visited the beach for the first time in years; the first time since my world changed because of unexpected, lasting illness; and only a few short months after I almost lost my life this summer. (Typing that makes me uncomfortable, but I am resisting the urge to tone it down because it is also true. 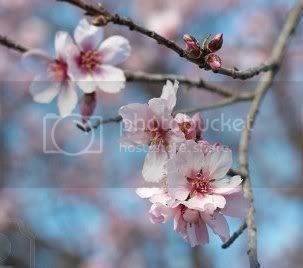 If I don’t acknowledge yesterday’s pain, I think I lose some of today’s victory.) Going back to the beach was a homecoming of the sweetest sort, one of those precious times when you recognize every moment for the gift it is and can enjoy every part of it, from sunburn to sandy toes. I smiled for days, until my cheeks hurt and I had a tan that matched the laugh lines on my face. 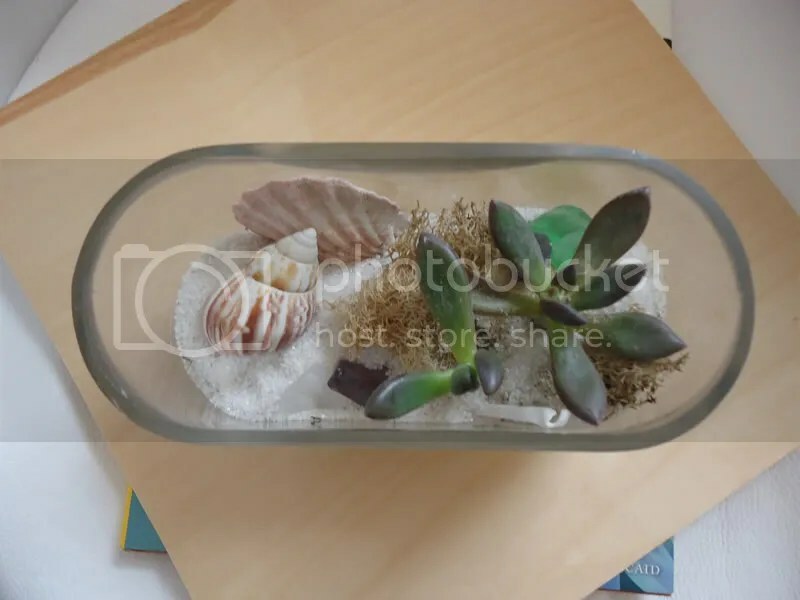 I brought back plenty of shells and a bag full of sand from the beach, and I determined to build a miniature beachscape to live on my dining room table. 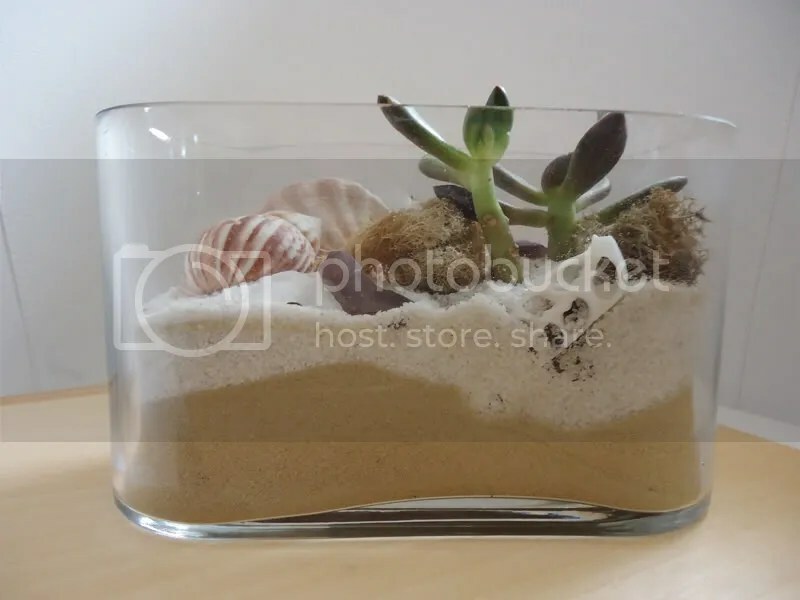 The ever-faithful T.J. Maxx offered a host of inexpensive choices for clear glass containers, and our local home and garden store stocked a few succulents that are also native to the San Diego beach we visited. The rest was highly therapeutic sorting, pouring, planting, and arranging. I love to try new things; that occasionally gets me into trouble, and it quite often gets me elbow-deep in glue, paint, potting soil, or cake batter. (never simultaneously thankfully :) This time it got sand in my teeth and bits of seashells under my nails, but it was delightful. As soon as I finished my little bowl of beach zen, I was ready to make another one. 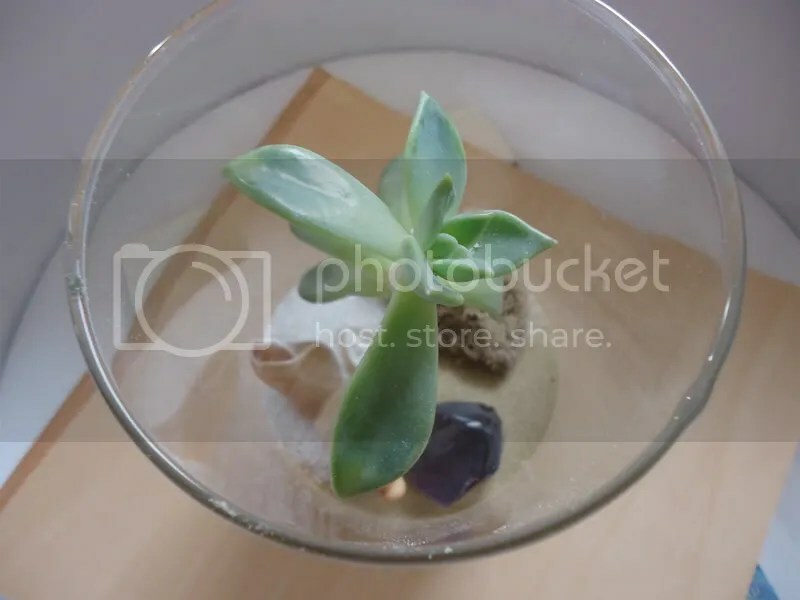 I made a second run for plants and glassware, and constructed two more terrariums for close friends, plus a small one for my husband to take to work — a little bit of permanent vacation in the midst of fluorescent lights and upholstered cubicle walls. 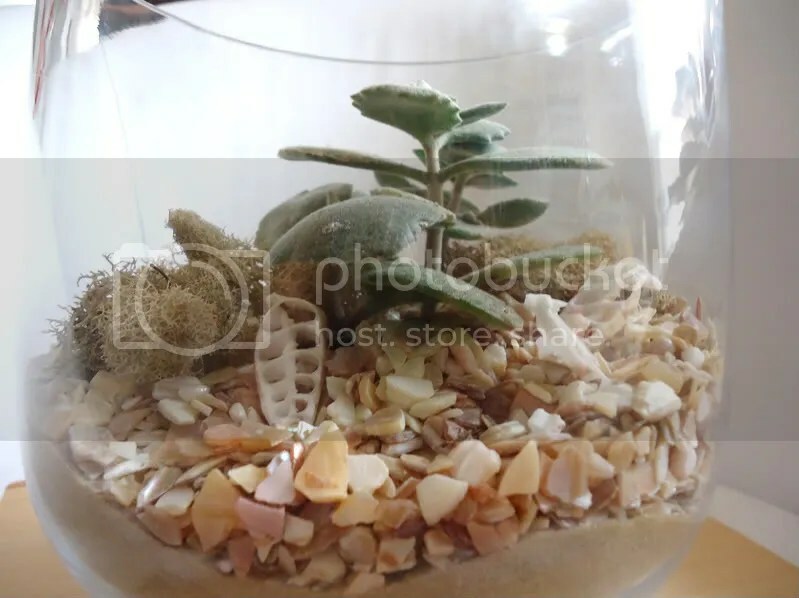 You don’t need a particularly green thumb to make or keep a beach terrarium with succulents. A splash of water every week or two is all these require. After I finished my inaugural efforts, I went in search of a book to learn more. 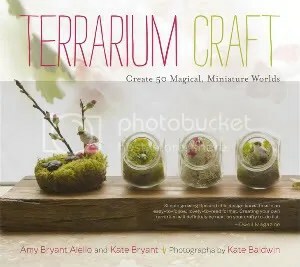 I knew I’d found like minds as soon as I opened Terrarium Craft: Create 50 Magical, Miniature Worlds by Amy Bryant Aiello and Kate Bryant. 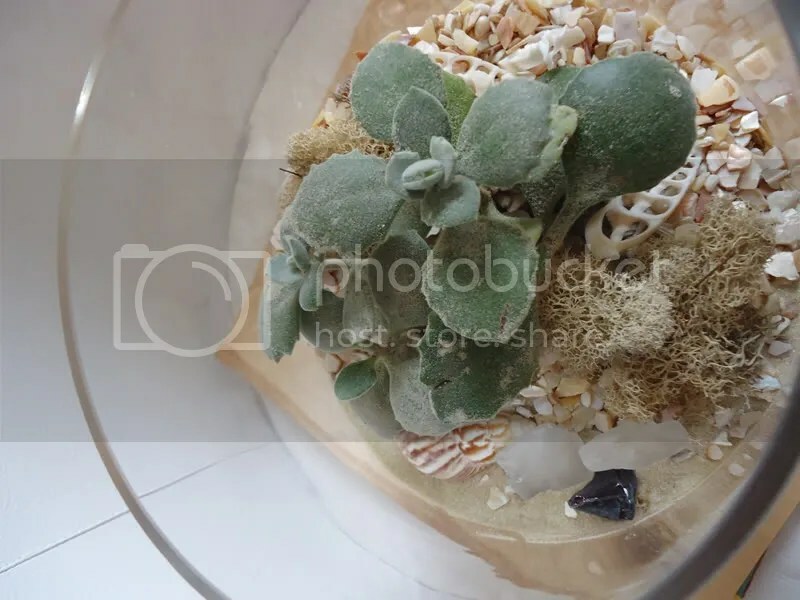 The title pages picture a terrarium almost exactly like the first I made, complete with sand, shells, reindeer moss, and succulents. 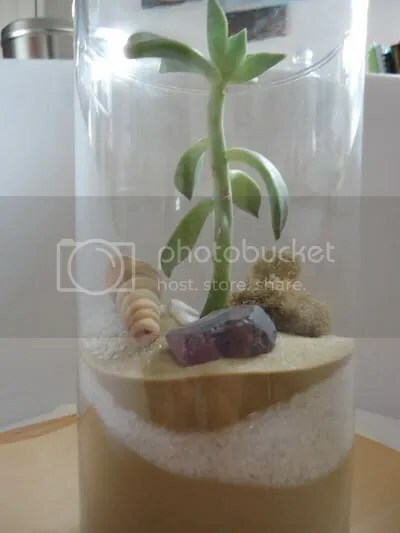 The book is a fantastic resource with all the basic how-to’s and ideas for dozens of containers, plants, and decorative additions.